We have an awesome team of Customer Service Reps! All of our reps are trained graphic designers. 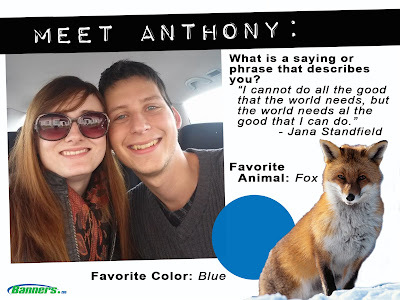 Anthony is one of our reps in our Central Minnesota facility. If you could pick anyone in history as a mentor, who would it be and why? Steve Jobs as he was a pioneer in the technology industry and his visions have impacted many of the industries that I am very interested and invested in. When you were a kid, what did you want to be when you grew up? I always wanted to be a Game Programmer / Designer. What is your favorite product that we sell? The 3M Control Tac, because I love the versatility of die-cutting decals for specific design usages. Also, the versatility and ease of 3M makes it especially attractive. That being said, I have only purchased it once, as a gift for my brother's business. If you work with Anthony, feel free to start a conversation with him about one of his favorite things!